Sunshine Through the Rain: Get it together! I am completely lacking motivation to sew at the moment. I think it is a combination of the heat and 90% humidity, hubby having been away, and being at a stage of life (about to turn 40 - aagh!!) where I am having to make choices about what direction I want to take (decisions like this exhaust me!). So I keep walking into my sewing room... and walking straight out again! Hopefully I will get it together soon. In the meantime, here is what I should be working on (sorry for the poor photos - again no motivation to get out my camera, they are just off my phone). 1. 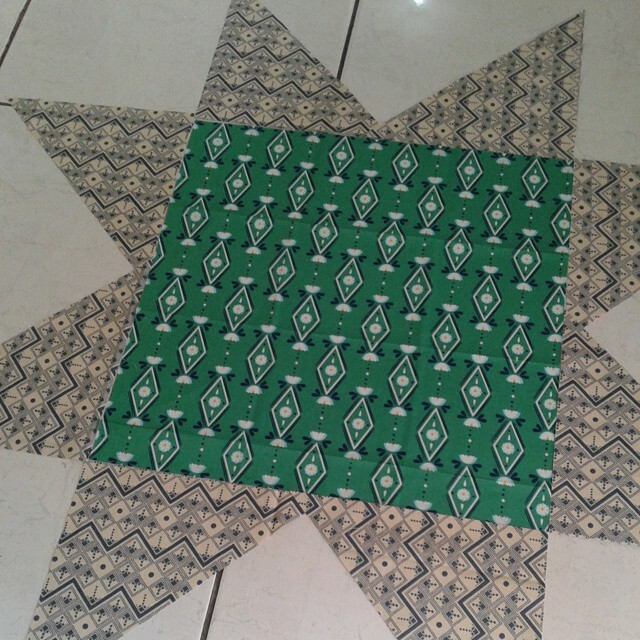 My Bright Star Quilt - I have selected the fabrics and started cutting, but want to get this finished by Christmas! 2. 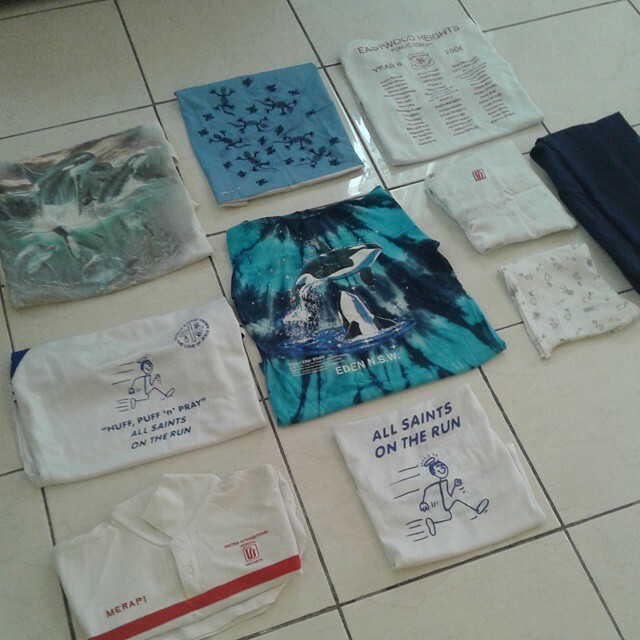 A memory t-shirt quilt. I have no idea how to make this, but I need to stick with my commitment, keep my fingers crossed and give it a go! It needs a paper pieced killer whale so i think I will start with making that! 5. 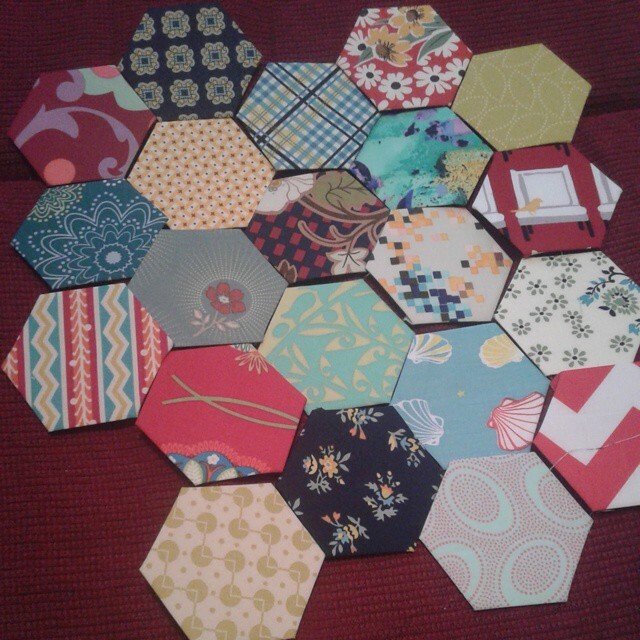 My mini quilt for the IG miniquiltswap. This is all cut - waiting to be sewn together. 6. My LeChallenge entry for this month - will be finished by tomorrow, it really will! I think that is enough to keep me going! I also have grand plans to make quilts for my boys for Christmas, but realistically ... I don't think I will make it this year! I am linking up with the lovely Katy. Hey what? A paper pieced killer whale in a tshirt quilt? Cool!!! I hope life settles down a bit for you. I can't wait to see that paper pieced killer whale - that sounds really intriguing! The embroidered quilt is so sweet! I hope that you are able to embrace the place you are in and find the space to be inspired by all these projects again. I hear you! I done very little sewing and blogging in September but at the end I realized how much do I get in return if I make something. Positive comments just adds so much fuel for my creating and it helps to forget about those life issues we all have. Fingers crossed for you! In that heat and humidity, no one can be expected to function. Having gone past 40, I can reassure you that it will be OK! I love the mini quilt's fussy cuts! I think heat and humidity definitely put a damper on sewjo, but for not having sewjo you have made some good hand sewing starts and done a lot of cutting!! 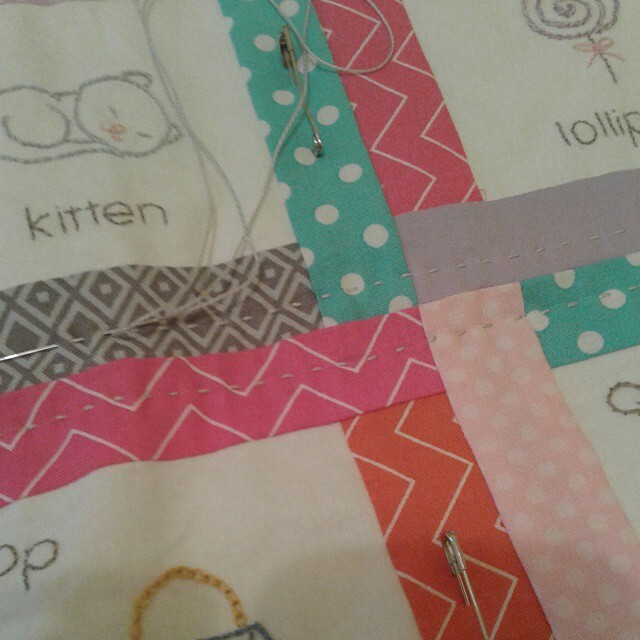 Your ABC quilt is so sweet (I had forgotten about that one) and your igminiswap is going to be fabulous!!! Lots on the go, especially under the circumstances. Thankfully our hot weather hasn't arrived to stay yet - hoping to finish hand quilting Peaceful Night before it does. The hand quilting is looking good! I like the mini quilt, too. Oh I'm sorry to hear you've been having some tough creative times! Hopefully you will be able to figure out a clear direction to go in and get moving! 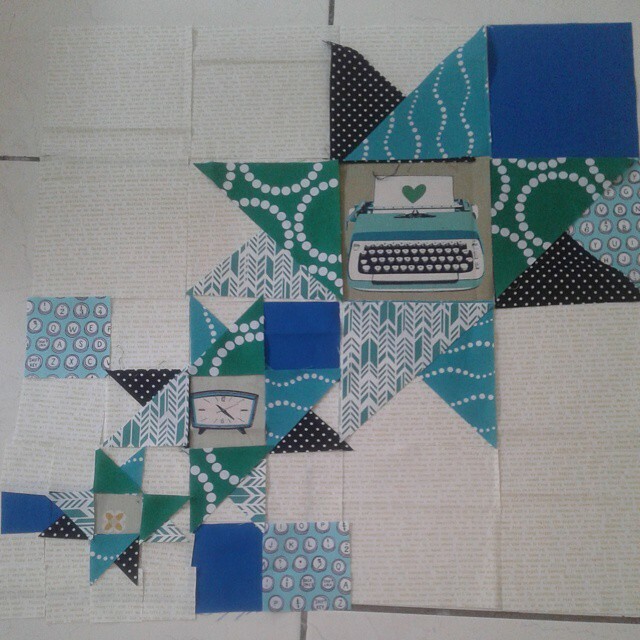 I'm loving the quilt for your sister's baby and can't wait to see it finished! I love that IG mini. YUM. 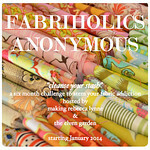 I hope you get everything figured out promptly and feel a fresh surge of sewing energy! Good luck. Gosh I'd never do anything in that humidity! I'm not suited to being a tropical girl.